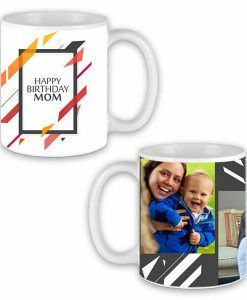 yourPrint.in lets you customize and create your own photo printed White Coffee Mugs & glasses within seconds on our website and mobile app available on Play Store. You can click photos on the go or upload already clicked photos from your device or social media accounts like Facebook/Instagram and more. Once the order has been placed, our design team gets the order printed on the surface of the mug. 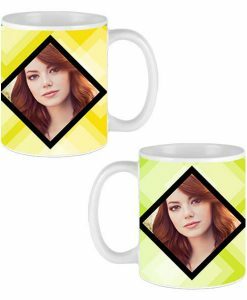 Once the Printing is done and the mug has passed the Quality Check test, it is shipped to you. 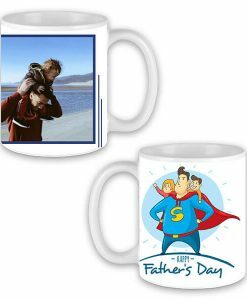 The print on the white mug is permanent - it will never fade off even after numerous washes. 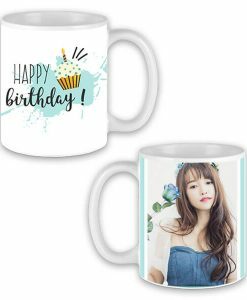 What is a Customized White Mug? 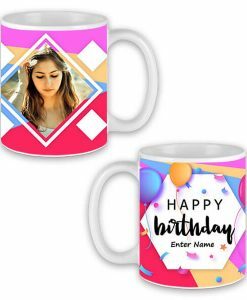 As the name suggests, a customized white mug is a basic ceramic mug which has been printed with a photograph of your choice to make it look unique. The white color signifies peace which makes it a perfect present to be given to your friends, family, employees or business partners . 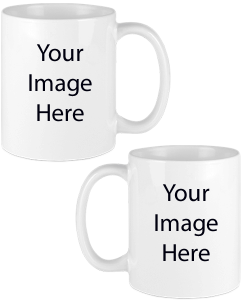 This is the best product to promote your company name, by printing your company logo on the mug. They are decent to look at and durable. 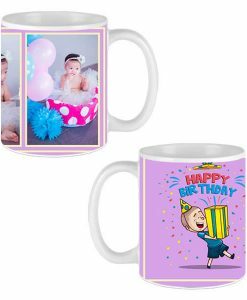 The mug is printed with your pictures using our permanent ink transfer technique - giving a high quality, durable output. The mug is made up of ceramic and can hold any type of liquid - be it hot or cold. 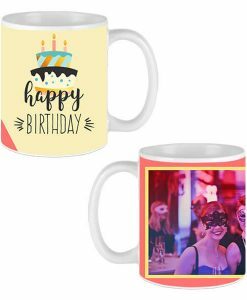 White Mugs with your Pictures - the perfect Gift! 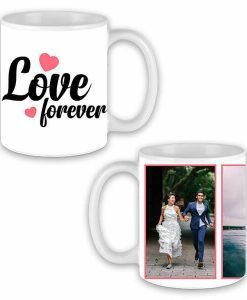 Without doubt, these printed White mugs are the best gift that can be given to your loved ones or friends. 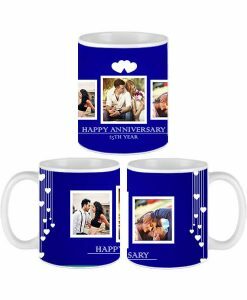 The mugs are available in various patterns designed by the yourPrint team. They are also available in various capacities. 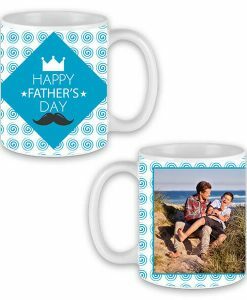 The mugs are easy to wash and clean and come with a sublimation coating on the outside, giving it a permanent print. 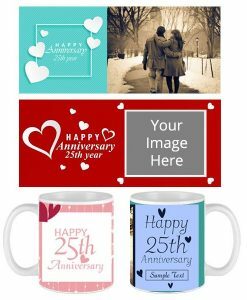 Any photo of your choice can be printed on this sublimation strip. We use high-temperature heat transfer techniques to complete the printing process. 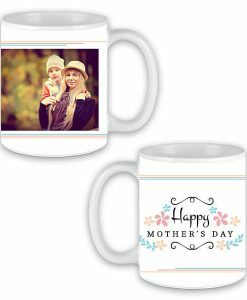 This makes sure that your photo printed mugs are ideal for gifting. 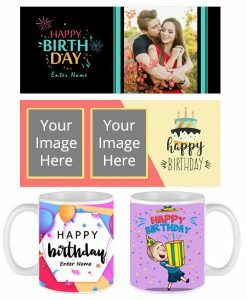 Make your White Mug Unique by Customizing it! 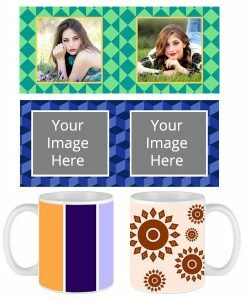 Stand out from the crowd by making your basic white mug unique with your picture printed on it in High Definition quality. 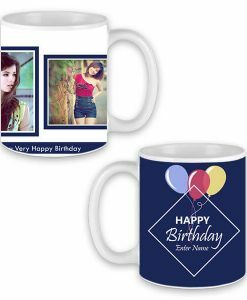 We print and deliver customized mugs to all cities in India on prepaid mode. The mugs are well-packaged before shipping to ensure that they reach you in perfect condition without any damage. 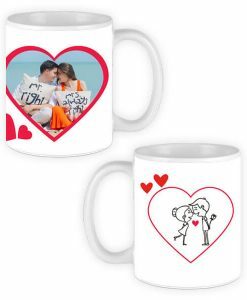 Bring out the creativity in you by customizing and creating your own white mugs and glasses now! 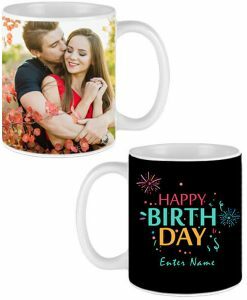 The Mugs are available for gifting on various occasions - like Birthdays, Anniversaries, Mother's Day, Father's Day, Corporate Gifting & more!